The Audi e-tron will be revealed in production guise on September 17. The German brand also plans a new charging network that will rival Tesla's Supercharger set-up. Tesla's charging plugs differ from those other electric vehicles so the American brand's 400 strong European Supercharger sites form a quite exclusive club. Tesla Model S and X owners get 400kWh free access to the Supercharger sites in Australia and Europe, translating to roughly 1600km of travel. 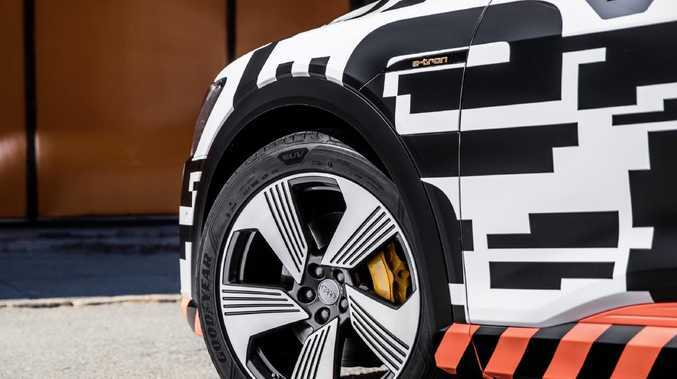 The Audi e-tron prototype will be shown in production form on September 17. But Audi has banded together with Mercedes-Benz, Ford, BMW and the rest of the Volkswagen Group - which includes VW, Porsche, Skoda and Seat - to build a network of fast chargers across Europe with a universal plug. The network, named Ionity, aims to match Tesla's 400 stations by 2020, when electric sales are expected to increase. Ionity claims that it will supply the majority of power at its sites from renewables. Audi's e-tron can take a 150kW-equivalent charge via an Ionity charging station, superior to the 120kW delivered by a Tesla Supercharger. 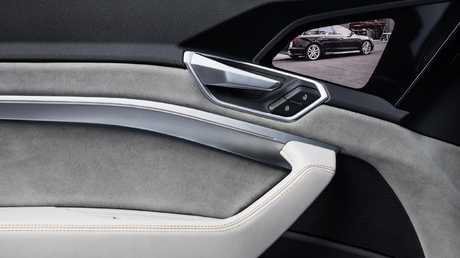 Screens will replace side mirrors on the new Audi e-tron.